The first of three chapters that tell the story of the 1902-03 season; such was the significance of events in the last campaign under the Argyle FC name. In this chapter, Argyle effectively became a semi-professional club when it signed players on professional terms for the first time, and, eventually, appointed a professional coach who raised the club to a new level of performance. The ordinary Argyle Association Football Club Annual Meeting was held at the Argyle Athletic Club on the evening of Friday 13th June 1902. A large attendance, presided over by J. D. Spooner, heard the inquest on the tantalising and ultimately, frustrating 1901-02 season. The failure in the domestic competitions was put down to bad luck and the strain of the professional games. Some members (players) became 'stale'. The professional matches were declared a success. On paper, they should have made a profit but without knowing the demands each club made and the extra hospitality expenses, it is possible it was only negligible. Chairman for the evening, J. D. Spooner, announced that the Argyle Athletic Club was “altering the style of the running of the club”. They, the Argyle Football Club, would have a freer hand and a bit more money. The directors of the club would let them have Home Park at a cheaper rent than last year, and they were going to engage a professional, not only as a good player, but one who could coach them in the game and would be a trainer. This professional player/coach would take the management of the first soccer eleven into his own hands. Argyle were negotiating with John Devey, a well-known Aston Villa player who retired last year. The directors were prepared to pay him a big salary. Employing a professional coach who would take charge of First Team management moved Argyle F.C. up the ladder to becoming professional as a club. The changes to running the club sprang directly from the Football Association ruling to separate football from the Argyle Athletic Club Limited. Francis Crouch (Secretary of Argyle Athletic Club Limited) explained further that his directors deemed it advisable that the Association Football Club “should be worked as a separate organisation entirely”. They proposed to give the club a lump sum “to start them off in life” and reduce the rent of Home Park to half the sum paid last year. Any members of the Athletic Club who were members of the Association Club would have half their subscriptions handed to the football club. The members of the football club could use the premises in Old Town Street for meetings but were not members of the Athletic Club by “virtue” of their belonging to the football club. Crouch’s explanation was a very complicated way of saying “no change”. Even after this date, new Argyle F.C. players were still listed as having one share in the Argyle Athletic Club Limited. Some Argyle F.C. officers were elected for 1902-03 with Clarence Spooner continuing as President. Curiously, J. D. Spooner announced that Argyle had entered the 1902-03 F.A. Cup, but this fact was never mentioned again and nor did Argyle take part in it. WHY AND WHERE WAS THE FINANCE COMING FROM? The plans for 1902-03 indicate that costs may rise in the running of the Argyle Football Club. The membership shares and yearly subscriptions were only token payments to the total required finance. The Share List, dated 26th February 1902 shows the total number of 2 shilling and 6 pence shares issued by the Argyle Athletic Club Limited was still only 3,631 (£453 17s 6d), nothing like the 16,000 (£2,000) first announced by Clarence Spooner, who said he would buy the unsubscribed shares; he did not. By pricing the shares at 2s 6d to be affordable to all, the club was not attempting to finance any grand scheme with the help of successful business investors, unlike the Albion Rugby Football Club, Plymouth R.F.C. and the Home Park Company before that. They had issued their shares at £1 each. Football League clubs such as Aston Villa had issued shares at £5 each. To assume that Clarence Spooner put Spooner money into the club because of the huge shortfall there would have been had he not, fails to acknowledge that he did so purely because he wanted to. By the start of the 20th Century, professional League football had become hugely important to the people of the nation and he wanted to put Plymouth on the map. Clarence Spooner was a benevolent guardian but that is not to say he never expected to be repaid. In fact, the Articles of Association of the Argyle Athletic Club Limited allowed Directors to receive money from it and even make an indirect profit from it, this being directly against Football Association rules and a reason for their intervention in November 1901. From the first advent of football clubs becoming limited liability companies, and for the first time clubs being run by Directors, it was clear to these businessmen they would not be making great sums of money from the football club. The Football Association maintained the first reason for any football club was to play football, the business side they could inspect at any time. Football Club Directors were aware that the football club company had to run on the same high principles as their own business but in matters of the heart, sometimes personal gestures were required that left them out of pocket. This Clarence Spooner had done with the Avenue Football Club and he was (probably) still handing out discretionary gifts. The Argyle Athletic Club held all sorts of events to raise money to finance the Association football club. Home Park was also rented out to other clubs for regular and popular bicycle and whippet races. The Argyle Athletic Club held a cycle race meeting on Monday 19th May 1902 that brought 10,000 to Home Park. In perfect conditions, they witnessed thrills and spills for the 100-guinea cup. In one race, there was a serious pile up on the banking with a number of riders sustaining cuts and some broken bones. The club arranged diverse sports. At the Corn Exchange, Plymouth, on Wednesday 19th March 1902 a good attendance was treated to an 'Assault-At-Arms'. This included gymnastics by the Y.M.C.A., a boxing contest, Indian club swinging display, fencing, wrestling bouts, weightlifting and a 'sword versus bayonet' contest. The displays involved Argyle Athletic Club members and persons from the Services. The day after the Annual Meeting of the Argyle (Association) Football Club a serious blow was dealt to the club’s plans. 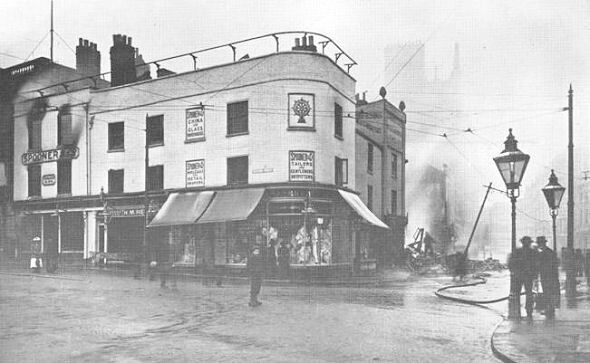 At around 8.25 p.m. on Saturday 14th June 1902, a fire began in one of the display windows of the Spooner & Co. department store. The fire quickly spread with a terrible fierceness, which caused widespread damage. The intense heat fuelled by the many inflammable goods stocked in the store, twisted iron girders, charred beams and exposed pipes fell or hung awkwardly. On the Monday morning, hoses were still dampening down the smouldering site. Clarence Spooner surveyed the scene of destruction in horror, but was greatly heartened to know that the Company’s books were found singed but intact. Some of the day’s takings had survived in a cash box. Thanks to underground passageways that connected the buildings and departments nobody became trapped and all escaped. Many of the young female assistants lived on the top floor. They lost all their belongings but every one of them was given food and shelter by other local traders. Clarence Spooner received many offers of money for a relief fund, which he appreciated, but typically, he declined them all. He said that the Company would meet all financial needs. None of the 550 employees lost their job and all claims for lost personal possessions were met. The distress and fatigue of the staff, to the point of collapse in some cases, was of concern to the townspeople. Prayers were said in local congregations for the Spooner & Co. management and employees. Unused properties were given over temporarily to Spooner & Co, who reopened for reduced business in scattered premises within a week. Much of the original complex had to be pulled down and was rebuilt. The cost of the fire was £400,000; in modern terms, many millions of pounds. Spooner & Co. had a number of insurance policies to cover the risks and Clarence Spooner thought that all losses would be met. The rebuilding of the business was now the main concern for him; his beloved Argyle would temporarily have to take second place. The fire is still smoldering the day after the blaze started. The Argyle Athletic Club premises at 80, Old Town Street is on the right, through the smokey haze. Without the attendance of their President, the Argyle Athletic Club held the National Cyclists’ Union Championships at Home Park on Saturday 21st June 1902. The event was not well advertised in advance by the club, and the N.C.U. was openly critical of the 4,000 attendance for such a major event. The Western Daily Mercury called the races “the amateur championships of the world”. The riders came from all over England, if not the world, to race on the cinder track (still not covered in concrete, as planned after 1893, when the ground had settled). Winner of the final of the five-mile motor bicycle race at Home Park. 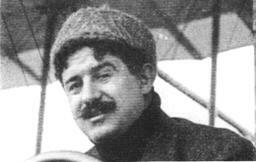 He was an early aviator and one of the very first Frenchmen to hold a pilot's licence. A week after the N.C.U. 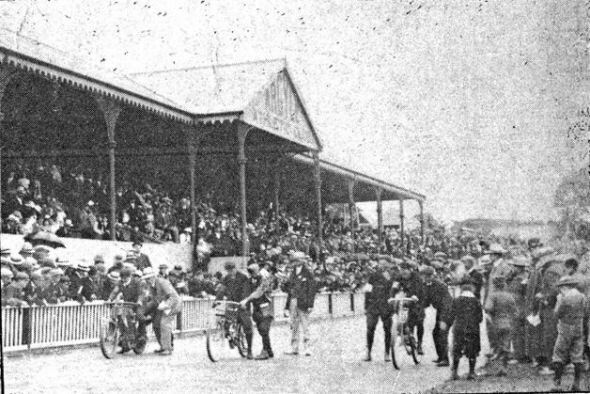 races at Home Park, the Argyle Athletic Club introduced Plymouth to Motor Bicycle Races. On the 27th and 28th June 1902, two days of very exciting racing at speeds of a “most astonishing character” reported the Western Daily Mercury of the 28th June. The riders were the best and most well known and included competitors from Europe where the sport was more popular. Many members of the Argyle Athletic Club officiated including a number of Argyle Football Club players. Making a welcome reappearance was Clarence Spooner who presented the prizes. On the first day a crowd of 3,000 saw some exciting spills, the most serious happened to S. Wright of Coventry whose machine went out of control when his tyre burst and he crashed into the palings and was thrown over the top. He sustained a few bruises but still took part in a later race. Another rider careered off the track onto the grass and buckled his front wheel. The leader in a five-mile heat pulled out after a few laps, complaining he was “bored”. The riders rode “motor bicycles” that ranged from 1 to 3 horsepower and weighed from a 100 to 200 pounds. The report of one race says “The pace was so great and the excitement so intense, one could hardly follow the men”. C. G. Garrad won the Five Mile Final for bikes under 112lbs, in 7 minutes and 35 seconds, which broke the world record by 10 seconds. He was loudly cheered as he passed the post. In the Five Mile Open Handicap, the champion Watson was in the lead “…who was going like an express train; with his head between his handle bars, and his long hair streaming behind, he looked a picture”. Victor Rigal of Paris won the final. On the second day the Home Park track was the scene of a second world record, this time over one mile (four laps). Harry Martin of Coventry thundered around the track in a record 1 minute and 25 seconds (42 m.p.h.). This sport was so well received the same event was held again at Home Park to larger crowds, 10,000 on Monday 4th August, and 8,000 on Saturday 9th August 1902. The motor bicycle races at Home Park were filmed and the popular “Animated Pictures” were still being shown at the end of September, drawing large attendances to the St. James’s Hall in Union Street. It was a varied programme of news and interests, which included the Coronation of the King, the Boer leaders arriving at Southampton after the War had ended, the Grand National, and a comic series. An orchestra provided music to accompany the silent films. Clarence Spooner presided over a meeting of the Argyle Association Football Club on Saturday 30th August 1902. He told the members gathered that a tempting offer had been made to a well-known player who they wanted to take on as Argyle Coach and they expected an answer in a day or two. News of the coming 1902-03 seasons fixtures gave the final match to be versus Aston Villa, but this match was not played, and Argyle were to play well-known amateur club Ilford, from London on Good Friday. Other prominent clubs were also to be met. 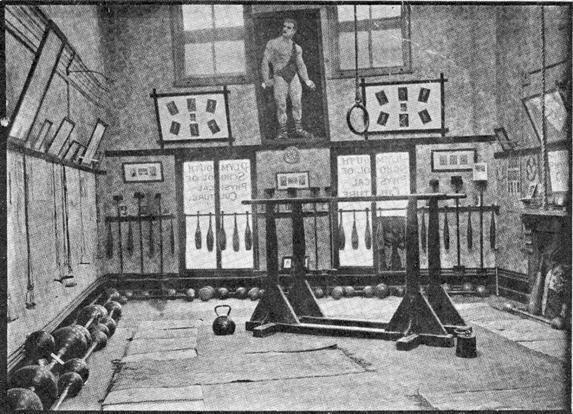 Mr. Spooner announced training would start on Tuesday at Home Park and arrangements had been made for the team to attend classes at Mr. Blunt’s ‘School of Physical Culture’ in Bank of England Place on Wednesday evenings. The Spooner business, though in some disarray following the fire, was finding its feet again and the Argyle President was able to give time to be on the match selection committee. Argyle were holding a ‘Smoker’ (Smoking Concert) on the evening of Tuesday 2nd September 1902, during which Clarence Spooner was going to present engraved silver medals to the players who took part in the previous season's professional matches. The club acknowledged how largely indebted they were to his generosity. On the night, J. D. Spooner, gave the medals to players in the absence of his brother, at the Club premises. The medal was heart shaped, and crossed by two bands of green on which the words “Notts Forest” and “Aston Villa” were engraved in black. Clarence Spooner arranged for the Argyle F.C. players to attend on Wednesday evenings. Argyle Wednesday re-formed for 1902-03, though the outfit had no Wednesday League to join. The Wednesday clubs voted unanimously for the League to continue, but Mr. Bickle (Devon F.A. League Secretary) said they could not afford the cost to run it. He may have been thinking of the new rules which, had the Wednesday League been formed, would have given the clubs another two representatives on the Executive. The Argyle Reserves registered but did not fulfil their first fixture on Saturday 6th September 1902 in the Devon League Division Two. A late decision cancelled the formation before any election of officers. With the name of the Argyle Coach still not given, the Argyle 'Chiefs' played their first match on Saturday 6th September 1902, a friendly at Home Park versus Green Waves. Revenge for the loss of the titles last season was not forthcoming. Argyle, now captained by Sid Wyatt, were without their settled side and could only draw 1-1. The main excitement of the day was not the 1-1 draw but the fact that Argyle had turned semi-professional. Two players, Johnny Andrews and William 'Jacko' Matters from Green Waves signed for Argyle F.C. on professional forms. Both were ordinary working class labourers from Plymouth’s eastern side, the Green Waves heartland, glad to add to their low-scale occupational wages. Their defection intensified the growing bad feeling; neither were fielded against Green Waves, the signings having been made public that day. These two were definitely not the first paid for football players in Devon (association or rugby union) but they were amongst the first to be officially paid. West Country wages were traditionally amongst the lowest in England; in the region in the early 1900s, a carpenter received around 33 shillings a week, a Plymouth Corporation tram driver 24 shillings, and a labourer around 22 shillings. A professional footballer’s wages were comparatively high despite recent restrictions. From the 1901-02 season, the Football Association had introduced a maximum wage for professional footballers of £4 per week, in addition to which bonuses, mostly illegal, were added. In 1908 Sunderland (Football League Division One) were paying their semi-professionals, players with occupations during the week, a wage of £1 to £2. Therefore, it would seem likely that Argyle, in the Devon League Division One were paying their semi-professionals a sum considerably less than £1 a week, probably a few shillings at most. The purchasing power of one (old) shilling in 1902, in 2009 = £4 (using the Retail Price Index) or £21.50 (using average earnings) (website: measuringworth.com). Multiply by how many shillings and the sum considerably increases. The Argyle players without hesitation signed willingly, so the money offered was desirable. When the Management Committee of the Devon F.A. met a few days later on Wednesday 10th September 1902 at the Newmarket Hotel, the subject of 'professionalism' took up most of the meeting’s time. Representing Argyle was Tom Floyd. Whilst stating their support for any club promoting Devon football who proceeded in a legitimate manner, the clubs were not at all happy that one club was creaming off the best local players. What chance had any others in the League table? In a damning speech Mr. Dunstan, only referring to Argyle as “the club referred or alluded to”, said it had not acted as fairly as it might in obtaining some local club players, making them professionals, then pitting them against the clubs they had come from. He implied the club had failed to comply with the rule that required 58 hours notice before approaching a player. There were unified cries of “hear, hear”. Fred Goss (Crownhill) complained his club were ruined by players lost (to Argyle) during the close season. The Chairman, Dr. Meadows (Essa) said 'professionalism' was a serious blow to Devon football where the richest club would have the best players. He thought a professional club should be barred from the League by forming an amateur League only. As this now could only be done in a year’s time the only way they could stop the (still unnamed) club was to find it guilty of obtaining players illegally. Secretary, George Jones, pointed out; there was no charge to be brought against the club in question. Wheaton joined Argyle F.C. from Crownhill in 1902 to become one of the club’s first semi-professionals. Mr. Floyd broke the polite ice and ended the pretence, saying he represented (as they all knew) the club referred to, the Argyle Football Club. He brought to their attention that they had supported the plans last season. Argyle were praised, and encouraged to continue, from every quarter, in their endeavour. It was well known to the clubs that Argyle would become semi-professional. Players did not just turn semi-professional; they had applied, and then been accepted. Mr. Floyd named former Crownhill players, Sid Wyatt, William Moule, and Archie Wheaton as signing without hesitation. He named Green Waves players Andrews and Matters as professionals, who were in dispute with their club and willingly signed for Argyle. He understood clubs may suffer at first but they should note how first-class rugby clubs in Devon had raised the standards of play and made the county famous. A first-class association team in Devon would do the same, in time, for the other clubs. He did not understand at all the sudden change in attitude towards his club. In fact the risky course they were taking was favoured by the English F.A. said Mr. Floyd, aiming to show the highest authority was on their side. The meeting still wanted the Football Association to rule on the matter, so Tom Floyd seconded the motion for them to do so. Argyle played their second match of the season on Saturday 13th September 1902, a friendly match versus Defiance at Thanckes, Torpoint. The two new signings from Green Waves made their first appearances, yet Argyle were two players short at the ground. A sub from Defiance, Sam Norman, made his only known appearance for Argyle, who kicked off with ten men. Percy Buchan, Argyle’s regular goalkeeper since 1898, who remained amateur, was in the team but many of the familiar names were missing. At centre-forward was William Moule, making his second appearance as a semi-professional since signing from Crownhill in the close season. Considering how roughly Association football was played in the years gone by, remarkably no Argyle player had broken his leg during a match since first formation in 1886. Unfortunately for William Moule he became the first during this match. After fifteen minutes play, a resounding 'crack' was heard as Frederick William 'Dai' Black of Defiance tackled Moule. The surgeon from H.M.S. Lion was sent for and he rendered aid to Moule who was then sent to his home. Those that could afford it were medically attended at home, not in hospital. The match resumed, “though the accident had caused a depression to fall on all”. An unnamed player joined the action for Argyle but had to leave before the end; despite a plucky stand, Argyle lost 4-3. This ended Moule’s semi-professional career but Black went on to be a professional with Plymouth Argyle. It took a long time for Moule to recover from the injury; he did not play again in this season. In 1903-04 he had joined the opponents, Defiance, and was playing in the reverse fixture, though Argyle F.C. were now Plymouth Argyle Reserves, on 21st November 1903. In a strange quirk of fate, he broke the same leg again. Breaking his leg two seasons running in the same fixture, playing for the two clubs proved too much. The Devon F.A. opened up a subscription and sanctioned a benefit match on the injured player’s behalf. Moule gave up playing to become a referee in the Devon Minor League, officiating in its first season 1904-05. Breaking a leg was such a serious accident that it could affect a footballer’s life and seriously endanger his occupational and private well-being, affecting others in his family. Necessary medical standards at Home Park, under the auspices of the Argyle Athletic Club, were lower than expected. On Saturday 28th February 1903 the Argyle Rugby Football Club were playing Falmouth at Home Park when William Tonkin, of the visitors, collided with an Argyle forward. He broke his shin in the accident and the young man was in a lot of pain. A Navy sick berth steward attended to Tonkin, assisted by a policeman, P.C. Holberton. Tonkin’s leg was put in splints taken from the wooden palings around the pitch and he was carried off on a makeshift stretcher composed of two doors. A cab conveyed the seriously injured player to the Royal Albert Hospital, Devonport) for urgent medical attention. The match was not continued and ended early. Argyle’s promised “well known” new coach arrived at Home Park around the 15th September 1902. His name was given as Arthur Jackson, and he certainly was not well known to anyone because he was using a false name. Of course, the fact he was using a false name had yet to be discovered. The Football Herald printed an article about him in their Saturday 20th September 1902 edition entitled 'Something About Arthur Jackson'; there certainly was more to this title than they realised at the time. The details given of his career are true or have some truth but are not attributable to him as Arthur Jackson. He was born in Wolverhampton where, after playing in local football, he played for Wolverhampton Wanderers before moving on to Stockport County, where he was captain for two seasons. He later became player-coach for Belfast Distillery who, under his guidance, won the Irish League amongst other honours. 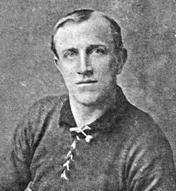 Arthur Jackson was capped by the Irish League in two representative matches, and captained Belfast and Ulster in inter-city and provincial fixtures. He came to Home Park with many excellent recommendations, including one from the great international and Bolton Wanderers goalkeeper, John William Sutcliffe (the same player who joined Plymouth Argyle in 1905). Sutcliffe, allegedly, states that Arthur Jackson is the best centre-forward in Ireland, and only left Belfast Distillery because they could no longer afford his high fee. Research on any of the above information failed to find anyone named Arthur Jackson. His real name and circumstances became known later in this season. On Wednesday 17th September 1902, Arthur Jackson arranged a trial match at Home Park, Colours versus Whites, to assess the players under his management. He then picked the team to face Tavistock in a friendly match on Saturday 20th September at Tavistock. Arthur Jackson at centre-forward scored two goals in a comfortable 3-1 victory over troubled in debt Tavistock. Jackson brought in an unknown player, T. Latus, to play up front with him. The Argyle Athletic Club Limited, the owners of Home Park, made an agreement with one of Devon’s best rugby sides, the Royal Naval Engineering College to share the ground as ‘Home’ venue for 1902-03. It seems an odd thing to do at this stage in their plans, but it did lead to a number of naval players appearing in the Argyle Rugby XV. It is possible that Argyle, by ‘Grand Design’ not only intended great progress in association football but also to raise their profile in rugby to the highest level. As their association brothers, they were using training methods to improve and early season results showed that they had. The Navy team did have a ground at Keyham but without the finely equipped facilities of Home Park. To mark the occasion, Argyle Rugby 'Chiefs' played their most illustrious opponents to date and won 10 points to 6. Naval spectators were present in force. After this match finished Argyle Rugby Reserves took to the field in their first match of the season versus Bere Alston. The home side won 24 points to nil. The Football Herald had pointed out that the professional outfit the other clubs now feared merely contained ordinary Devon League players, as they were last season. It was Arthur Jackson’s job as coach to improve the play of the Devon League players so there was great interest in Argyle’s first League fixture since he had taken up the post. The match was versus Defiance at Home Park on Saturday 27th September 1902. Jackson played at centre-forward; the only players still in the team that had played in the first match versus Green Waves were Buchan in goal, club captain Sid Wyatt at left-back, and Clifton Pethick at centre-half. Any high hopes Argyle had came to earth with a bump, as the semi-professional club were beaten 2-1. The other clubs, after the initial shock, must have wondered why they had been so worried. Lieutenant Windrum, whose presence had been missing since being installed as Chairman of the Devon F.A., chaired a meeting of the County Executive at the Newmarket Hotel on Monday 29th September 1902. They had received a reply from the Secretary of the Football Association, F. J. Wall, regarding the enquiry as to whether Argyle had illegally signed players, in particular Andrews and Matters of Green Waves. Mr. Wall, who was now well acquainted with Argyle, ruled in their favour and pointed out that both players were not registered with any club at the time, nor had they played any match, as yet, in 1902-03 for Green Waves. Therefore, Argyle did not have to give the 48 hours notice of their intention to approach the players. Mr. Wall also pointed out to the Devon F.A. that their own rules state, if a player had not played a League match in the current season, he could move to another club without a League transfer. He suggested the Devon F.A. tighten their rules up. In fact, it was the Devon F.A. that Mr. Wall was not happy with because they had broken a rule regarding one of the two players. They had arranged a fund for the same William Matters who was injured at work during last season when he was a Green Waves player. The Devon F.A. passed the proceeds to William Matters wife, thinking they were avoiding the player then being deemed a professional. This, Wall declared, was a wrongful evasion of F.A. Rule 29. Mr. Wall had handed Argyle an off the pitch victory. After being moved to half-back by Arthur Jackson, Haynes transferred to Green Waves and a week later scored two goals against his former club. On the pitch, the Argyle crisis deepened as they lost again, a week after the surprise League defeat. They were beaten 4-3 against Green Waves in front of a large crowd at Oreston. This defeat, on Saturday 4th October 1902, signalled the end for Arthur Jackson after only three matches in charge. There was no news given out in the newspapers, but there must have been rumours circulating of trouble at Home Park. Jackson had moved Tommy Haynes, who was prominent with Argyle as a forward last season, out of his favoured position to left-half. This was to make room for the player/coach himself in the forward line. Haynes, after making only two appearances in the five matches this season, transferred to Green Waves. He scored two of the Green Waves goals against Argyle. Following the defeat, with no announcement, Arthur Jackson was suspended and then sacked. The Press did not make any announcement or chase Argyle for answers; there was a problem and it was hushed up. It was as if 'Jackson' never existed, but the people of the Three Towns were aware he was still in their midst. Now unemployed, Arthur Jackson became a vagabond on the local streets. On the 10th December 1902, Arthur Jackson appeared before Plymouth magistrates charged with obtaining food and lodgings under false pretences. On a number of occasions, he had gone into eating-houses for a meal and left by the back door without paying. All charges were dropped because nobody proceeded against him. The destitute football coach survived the winter; perhaps some kindness came his way. On Wednesday 22nd April 1903, he was arrested for being drunk and disorderly after a steward ejected him from the Constitutional Club. The next morning he appeared at Devonport Police Court with the additional charge of begging and gathering alms. The accused pleaded not guilty to the charges. The begging charge related to a subscription list he carried which stated he was a professional coach for the Argyle Association Football Club and he had been unfortunately suspended for a time by the Football Association and had not worked for three months. Any person who gave him money would, supposedly, have their name published in the newspapers. Shopkeepers and innkeepers had given him money; the landlord of the Two Trees Public House had twice given Arthur Jackson 2 shillings, the last occasion just before Christmas. A refreshment house keeper in Fore Street said that 'Jackson', three months ago, had eaten dinner, then left by the back door without paying, then six weeks later tried the same again but was recognised by customers as Arthur Jackson who “got the chuck-out from the Argyle Club”. The defendant was sworn in as Arthur Jackson. He explained that, in the Midlands where he came from, it was normal practice for a suspended professional footballer to raise a subscription but there were no professionals in the South West. Though he supposed there would be soon. He said he never asked for money; he showed people the list. He gave his football suspension to be from November to the end of the season. The Chief Constable, John Matters whose son was an Albion, Devon and England International Rugby player, questioned 'Jackson' as to his real name. After some resistance, he admitted his name was Arthur Worrall, though insisted Arthur Jackson was his 'professional' name. Attention was drawn to the previous appearance in Court last December and the charges made against him. The defendant said since then he had not obtained any food or lodgings by false pretences. He had been doing odd jobs including working for three or four days on the tramway extension from Mutley out to Peverell Park and he had received some money from home. The defendant was ejected from the Constitutional Club for being drunk. Whilst inside the club he was soliciting for money using his list. He was arrested outside the club and taken into custody to Devonport Police Station still drunk. On the drunken charge, he was found guilty and fined 5 shillings plus costs or one week in prison. Likewise, with the charge of begging he was found guilty and fined the same or sentenced to another week in prison. It is not known what happened to Arthur Worrall after this. Unless the fine was paid for him, he probably went to prison. After that who knows? It is easy to fear a lonely tragedy of some kind occurred. There was more to the story than was revealed in court. The details he gave to Argyle of his club record were true under his real name Arthur Worrall, including his last given employment before Argyle as player/coach with the Belfast club, Distillery. This club had great difficulty in dealing with his bad behaviour so referred the matter to the Irish Football Association. In 1901, they banned Arthur Worrall from football for 'Life' for his persistent drunkenness. The ban would be also upheld in England under the rules of the Football Association. This is why he used the false name ‘Arthur Jackson’. In the 1881 Census, Arthur Worrall, aged 11, is living in his hometown at 27, Park Street, Wolverhampton; in the adjoining Cross Street, living at number 4, is an Arthur Jackson, aged 6. Hare arrived at Home Park with no fuss to replace Arthur Jackson. Methodically he set about his work to transform the Argyle Football Club. With Arthur Jackson (Worrall) gone from Home Park, Argyle immediately returned to winning ways in the League matches versus Tavistock away on 11th October 1902 (won 2-1) and on the 18th October 1902 versus 5th Provisional Battalion at Crownhill (won 4-0). The 5th Provincial Battalion later left the League; the points were discounted and the table re-calculated. Without much of a fanfare, almost hoping nobody would notice the changeover, the new professional player/coach arrived at Home Park on Saturday 18th October 1902. Charles Boyd 'Charlie' Hare, though a good player of the past with Aston Villa and Woolwich Arsenal, did not seem the ideal candidate for the job. He had not played professional football since the 1899-00 season with Watford. He had joined the Hertfordshire Yeomanry, with whom he fought in the South African (Boer) War until his discharge in April 1902 as unfit for duty. It was a desperate situation for Argyle who were working like demons in the second half to turn round the 4-0 deficit. In the 70th minute Wheaton pulled back one goal, followed shortly by two good goals from Hare to make the score 3-4 only five minutes later. “Talk about excitement! ” says the reporter in the Western Evening Herald. With several minutes to go, Broad equalised for Argyle and Stoke had to hold on to the end. From a desperate situation, Argyle’s lost respect was retrieved by the dogged determination to fight every inch of ground. Hare ended up being praised by the Herald who initially thought he was slow and unfit after a long lay-off from the game. He played with dash in the second half, controlling the team and making excellent openings for the others. The draw put Argyle in 4th place on 5 points; the early season pace setters were Defiance in top place (Played 4, Won 4). Argyle appealed after the match that Stoke fielded an unregistered player. This was upheld and Stoke’s hard fought first point of the season was taken from them and Argyle gained both points. Charlie Hare’s coaching was soon having good effect on the goal-scoring tally. The Wednesday XI won 7-2 versus the Royal Artillery on the 5th November 1902, and the Saturday XI had their highest League win to date, 9-1 versus Essa on the 8th November 1902. 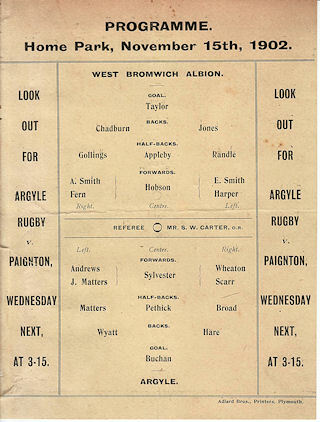 Argyle announced quite late that on Saturday 15th November 1902 they would be playing West Bromwich Albion Reserves of the Birmingham & District League at Home Park. A good crowd of 8,000 turned up to see the improvements the new professional player/coach had made. He had brought in two new players into the side: Vic Matters from Oreston Rovers, brother of Argyle’s William Matters, and Phillip Silvester of the Royal Garrison Artillery. It did not take long for Argyle to show how much they were benefiting from the coaching with William Matters shooting into the net soon after kick-off, but West Brom claimed off side and they were given a free kick. Argyle pressure caused the visitors right full-back Jack Chadburn (signed by Plymouth Argyle in 1904) to miss his kick allowing Archie Wheaton to put Argyle 1-0 up. Later Pethick shot into the net for Argyle from an indirect free kick and the half ended with Argyle remaining 1-0 in front. The second half started with West Brom quickly taking up the attack. Buchan was beaten by a beauty to level the scores. The Midlands club continued to press and were eventually successful in making the score 2-1 in their favour. Still holding the upper hand the score was increased to 3-1. From the restart, Argyle attacked and Johnny Andrews pegged the score back to 3-2. West Brom tried to add to their score but the Argyle defence was now playing a rattling game and kept them out. The match, which kicked off at 3.15, ended in near darkness and it was difficult to discern the players. The Western Independent match report concurred that Hare had brought “great improvement” to Argyle and in his own play at fullback, “he tackled with great dash”. Argyle’s accurate passing showed the “professional touch”. On Thursday 13th November 1902, Argyle Athletic Club held a farewell celebration in honour of their popular Argyle Football Club Secretary, Tom Floyd. Amongst the speeches, Tom Floyd himself, who had served the club at all levels since 1891, spoke of the club’s future intentions. Argyle had not yet taken it for granted that they would be a professional League club; it depended on the public support shown for their first-class programme. He said they realised there would have to be a professional League club in Plymouth for “Soccer” to survive in the district. “If it came he trusted it would be an Argyle team” was received with applause. He and the Club knew, to compete successfully with the two main rugby football clubs, Albion and Plymouth R.F.C., they would have to attract supporters from both of these club’s areas, Devonport and Plymouth. In 1902, it was believed that the Three Towns would eventually merge and Argyle would unite the district to become the team of Greater Plymouth. Floyd was right to say there was no club that united both towns. The rivalry between the two rugby clubs was so intense it had become based on civic boundaries; if you lived in Devonport your team was Albion, and if you lived in Plymouth, it was Plymouth R.F.C. Both rugby clubs had forsaken Home Park for grounds closer to their supporters’ strongholds and with good electric tram connections close to their grounds. Now that Home Park was being served by modern transport from both towns and was more centrally positioned than either The Rectory or South Devon Place, the claim to be the team of Greater Plymouth had some credence. The emotive absorption of Devonport and East Stonehouse into Plymouth came in 1914. After the end of World War One, Plymouth R.F.C. similarly absorbed Albion into their identity to become Plymouth Albion. Before that occurred, Plymouth Argyle had become, as they hoped in 1902, the team of Greater Plymouth. Fred Goss, the Secretary of Crownhill Football Club and a member of the Argyle Athletic Club made an announcement at the end of the Tom Floyd farewell. He had, that day, completed arrangements for his Crownhill club to play the Southampton full team at Home Park on March 18th 1903. This bizarre fixture, against last season's F.A. Cup finalists, was not intended to set up the villagers of Crownhill to rival Argyle as the district's future professional League club. It was a gesture of solidarity from Mr. Goss, who had been a player with Argyle before moving to Crownhill. He was still a member of the Argyle Cricket Club, and held 40 shares in the Argyle Athletic Club Limited. Fred Goss was a known organiser in Devon football and became the first Devon Football Association representative on the (English) Football Association Council in 1906. Argyle again overwhelmed an opponent in the Devon League Division One competition. At Home Park on Saturday 22nd November 1902, the Royal Garrison Artillery were defeated 8-1. Despite Argyle’s professional aspirations, the Wednesday XI still arranged fixtures with their amateur foundation brothers at Plymouth College. The two met at Ford Park on Wednesday 26th November 1902. At kick-off, two Argyle players, Dixon and Silvester, had not turned up so they started with nine men. The style of play from both teams contrasted starkly. Argyle now passed the ball around patiently building on tactical play, though hampered by the two absentees. Plymouth & Mannamead College still played the old traditional public school fast 'rushing' game, attacking en masse; the old public-school-orientated Argyle of the past once played in the same way. The College’s superior numbers cancelled out Argyle’s superior play and the friendly match ended 4-4. Neither Dixon nor Silvester played for Argyle again. During the 1902-3 season, five different Argyle players played for Devon County in their seven fixtures. Considering the numbers of goals Argyle were scoring, oddly the only Argyle forward capped regularly was Archie Wheaton (4 caps). The other players were Percy Buchan (6 caps), Sid Wyatt (7 caps), Clifton Pethick (1 cap) and Tommy Broad (2 caps). For the first time since April 1896, Home Park was ‘home’ for two Devon County matches. From 1891, Devon had occasionally played non-county matches as the ‘Devon County Senior XI’. These matches were usually against club sides or representative teams from the local Services (Garrison XI, United Services) and usually contained the same sprinkling of Argyle players in the teams as the full county matches. The Argyle Rugby Football Club had been very successful in its short existence since 1900. The pace of its development was much quicker than the progress made by any other major South West rugby club. At the end of 1901-02, after Plymouth R.F.C., they were hailed as Devon’s most improved team, known for its amazing defence and the speed of its backs. Yet the Devon County Rugby Football Union had capped only one Argyle Rugby F.C. player, Ernie Clark. 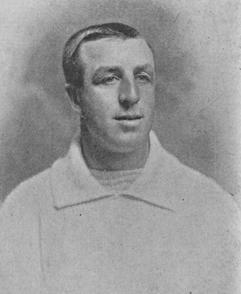 William Alonzo Mills who played for the Argyle Rugby Football Club in its first two seasons, became an England International whilst an Albion player in 1906. Some Argyle members who specialised in one code, occasionally played matches in the other. Stanley Vosper had been a regular in the Argyle Association team but decided to switch codes to play for the Argyle rugby team. He had been a public schoolboy at Mannamead School where the mere mention of the word 'rugby' would have poured scorn upon the perpetrator. With Argyle, and a farmer’s son, he had found his fast speed and strong build suited to rugby. Vosper became a regular in the Argyle R.F.C. XV during 1902-03 but the team was becoming increasingly reliant on members of other clubs and guests. Standing far right is William Alonzo Mills (Devonport Albion) who was an Argyle Rugby Football Club player in 1900-01 and 1901-02. 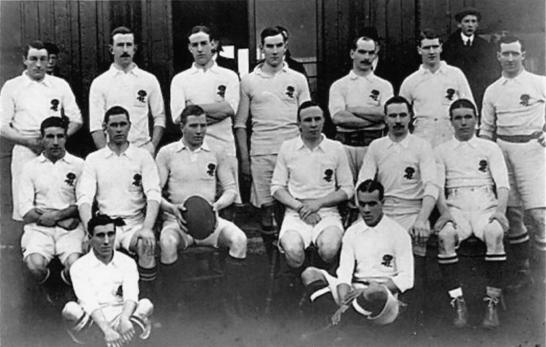 Other South West players are (Back row) standing 3rd from left J. G. Milton (Camborne School of Mines), (Middle row), seated first left Edward John Jackett (Falmouth), 4th from left Thomas Stanley Kelly (Exeter), 5th from left Samuel George Williams (Devonport Albion), (Front row) left Raphael A. 'Tommy' Jago (Devonport Albion), front right Jimmy Peters (Plymouth R.F.C.). One of the guest players who made appearances for the Argyle Rugby Football Club was current England International, Denys Douglas Dobson. He was born on the Isle of Man, but his parents moved to Devon and he played for Newton (Abbot) Rugby Football Club, Devon, Oxford University and made appearances for Albion. His first appearance for Argyle was on Wednesday 10th December 1902 at Home Park versus Plymouth R.F.C. and again a week later at ‘home’ to Camborne District, both as a forward. The first match was a defeat 3 points to 9; in the second match, he scored a try in Argyle’s 9 points to nil victory. Dobson became famous as the first British rugby player sent off in a match whilst on tour. This occurred whilst playing for the British Isles (later known as the British Lions) in Australia in 1904. Dobson’s life came to a tragic and unusual end at a young age, as can be seen on Wikipedia (wikipedia.org/wiki/Denys_Dobson) which informs, ‘Dobson, a civil servant, was posted as a Colonial Officer in Nyasaland (now Malawi). In 1916, while serving in Ngama he was fatally gored by a charging rhinoceros. When news of his death reached England, his former Oxford lecturer remarked that Dobson “…always had a weak hand off”. So far this season Argyle had defeated some of the top rugby clubs in the South West but still none of the regular players found their way into the Devon team. Good results failed to attract spectators and match atmosphere at Home Park was depressing for the lack of applause and shouts of encouragement from supporters. Since 1901, as a senior rugby club, a high proportion of Argyle’s fixtures were against Cornish clubs. Albion and Plymouth R.F.C. conducted an arrogant exclusivity policy against perceived rival South Western clubs. Albion said that lesser clubs had everything to gain in fixtures with them, whilst Albion had nothing to gain and everything to lose. Both clubs generally would only field their Reserves against most South Western opponents. Argyle R.F.C. found the senior Cornish teams were much more willing to arrange fixtures. The Cornish clubs were keen to play against a major Three Towns club. These factors, and the now almost total focus on Argyle association becoming a professional League club, took its toll on the rugby team. Players drifted away to other clubs, its impetus faltered, and match results suffered. A number of the disaffected players were responsible for forming the Argaum Rugby Club, which began playing in November 1902, using Higher Home Park as ‘home’ venue. This club still exists as Plymouth Argaum. My research indicates that the club is not as old as it purports to be, but Argaum’s claim that it is Plymouth’s oldest rugby club, probably, still holds true. It is certainly not far from the truth, as the two similar names show, to say that Plymouth Argaum Rugby Football Club is the Argyle Rugby Football Club continued. Around twenty Argyle R.F.C. players were associated with the early Argaum R.F.C. Argyle moved on in their carefully considered professional programme to meet Football League Division One club Stoke at Home Park on Saturday 13th December 1902. Negotiations had only been completed on the 4th December and Stoke had promised to bring their full ‘First XI’. Special training had been undertaken to prepare the Argyle players against clever opponents. The visitors arrived on the Friday, being accommodated at Chubb’s Hotel until Sunday. Stoke were taken on a visit to the Dockyard and places of interest on Saturday morning. In almost all professional matches staged in Plymouth, Plymouth Argyle later signed at least one of the visitors. 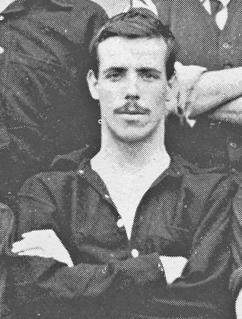 In the Stoke side, as a late replacement, was Andy Clark who made the move in July 1903. Someone, perhaps Lieutenant Windrum, was scouting for future signings? In its match report on 14th December 1902, The Western Independent heaped praise on Argyle for its endeavour with no expense spared to bring the “cream of all talent” to Home Park in its professional matches. Unfortunately, the newspaper says, the muggy damp weather had a deterrent effect on the gate, which was around 1,500. Unlike the professional matches of last season, all the Argyle line-up were registered with them other than Richard Mason of Crownhill F.C. From the kick-off Argyle took up the running against a team that finished high in the top division this season. In the first fifteen minutes, a surprisingly good Argyle rattled Stoke. Gradually the ‘Potters’ asserted themselves and went 3-0 up, though a still composed Argyle stuck to their task. With the comfortable margin, Stoke resorted to 'gallery' play, which received mixed cheers from the spectators now accustomed to seeing top-level clubs. The first half ended 4-0 to Stoke. The scoreline did not shake Argyle in the second half, who still countered the fine passing game of their opponents; chances came Argyle’s way but bad luck prevented them scoring. Charlie Hare did get the ball into the net but it was disallowed. The match ended with no goals in the second half and Argyle slightly on top. During the match it was seen, for the first time, that Argyle’s obvious inability to fight on equal terms did not stop them playing with an “easy, cool, confidence”. In testament to Charlie Hare’s coaching, the players were eager to learn and were raising their game; they had “belief in themselves” reported the Western Independent. It is chastening to remember that at this time, sacked coach, Arthur Jackson (Worrall), was wandering destitute in Plymouth and had appeared in Court three days before on the 10th. The Western Independent reporter says something interesting, without actually qualifying the statement, regarding Aston Villa. The reporter was commenting on the style of Stoke compared to the Aston Villa who visited last season: “In the West we shall always feel grateful to the Villa, for, somehow or other, we incline to the opinion that it was the Villa who inspired and laid the foundation of a new era in football in this district”. In Plymouth, there was a strong unexplained football connection with Birmingham, in particular Aston Villa. As the Argyle Football Club moved closer to its goal of becoming a professional League club, the Birmingham newspapers showed an interest and reported developments. Argyle coaches, Charlie Hare and Arthur Worrall were from the Birmingham area. The first professional players in Plymouth, Lynes and Tonkiss were from the area, the first professional League football club to visit Devon, in 1895, was Small Heath (later Birmingham City). The stature of Aston Villa was probably greater than that of any other club at this time and may be the reason for the statement. It certainly was not because of the M5 motorway just yet!